When Sissi hears strange noises coming from the boiler room, she is convinced that Kadic Academy is haunted. When our favourite snob organises a pathetic seance in the basement, XANA sends out a specter. Panic spreads throughout the school! The pupils are all convinced that Kadic’s infamous ghost is making a come-back! Our heroes, on the other hand, know perfectly well that it’s just another of XANA’s schemes and that to destroy the “ghost”, they must deactivate the tower…but how will they get to the factory? 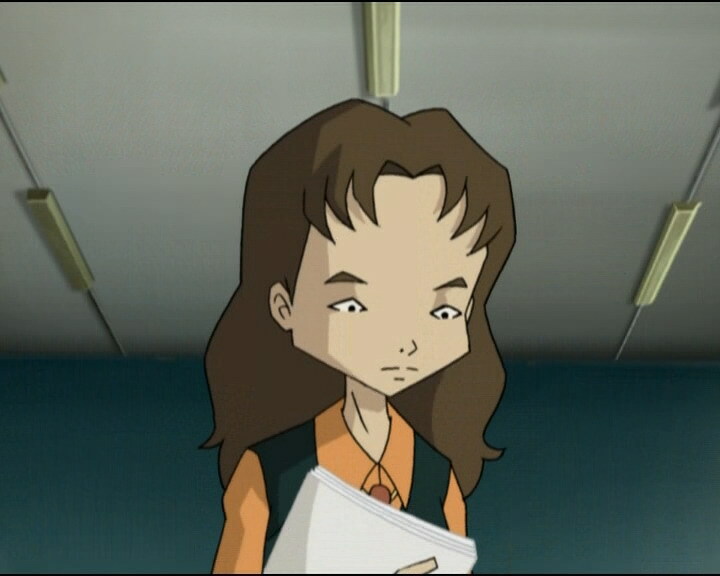 During a class, Ulrich receives a note from Sissi: an invitation to a séance to prove the existence of a ghost at the school… Going to the boiler room at night, the boy finds Herb, Nicolas and Sissi ready for a ceremony to communicate with the spirit, in the middle of a pentagram roughly drawn on the floor. The unthinkable produces a real spectre; Ulrich is the only one not to be fooled, XANA is on the attack! Chased by the spectre, Ulrich rushes to Jeremy’s room who launches a Superscan. 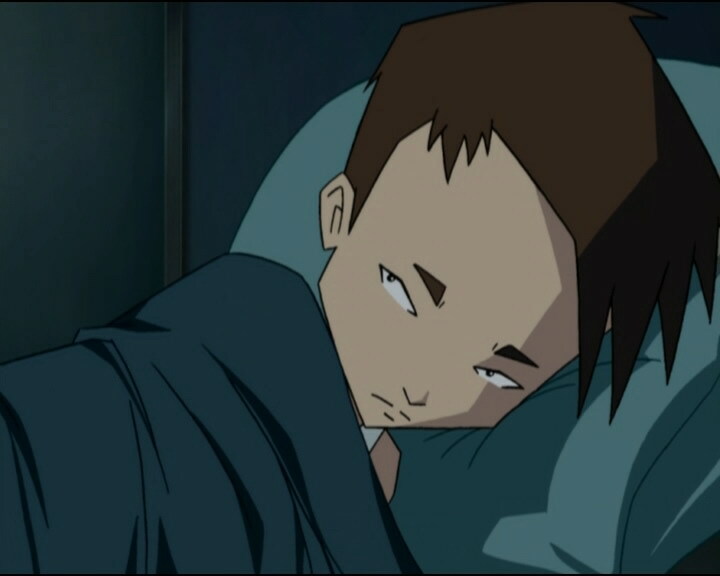 However, on Lyoko, all is seemingly calm! 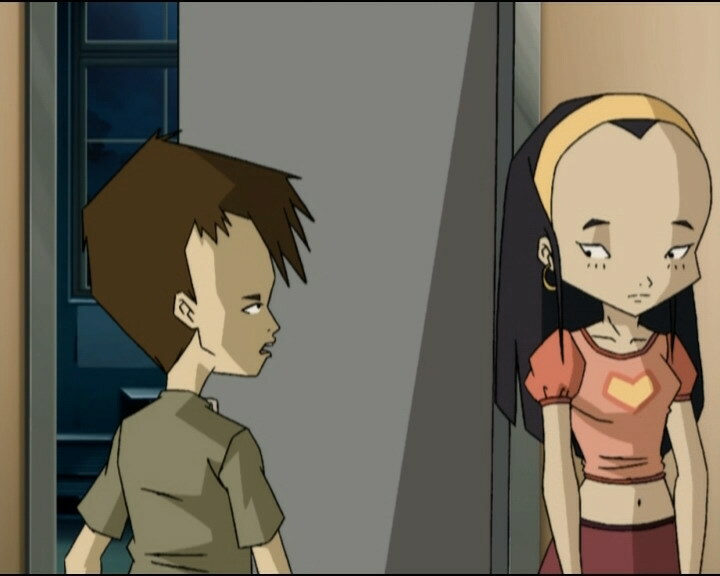 Jeremy goes to wake Aelita in her room to go to the factory anyway. But the ghost appears and tries to assassinate the kids by suffocating them. They manage to neutralise it quickly…time to head to the factory. Jeremy laments: XANA has managed to bug up the Superscan. 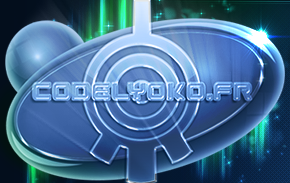 Odd goes to Lyoko to explore the Sectors, Aelita and Yumi go to search Sector 5 for something to restore the Superscan. In the real world, Ulrich and Jeremy anxiously await the imminent attack of the ghost. It bursts into the lab and the two kids flee via the lift and run through the factory. In Sector 5, Yumi doesn’t manage to activate the key and the two girls are forced to escape using the Transporter. Yumi finds herself stuck in the doorway and devirtualised. 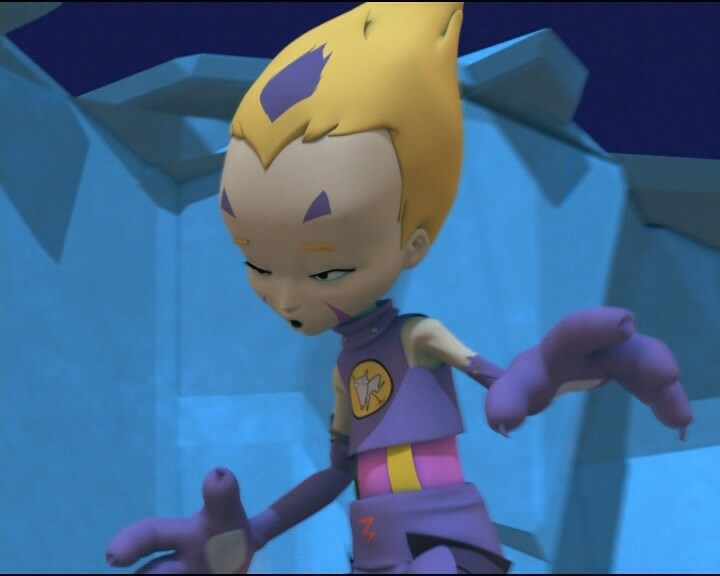 Now no-one is there to protect Aelita from the Scyphozoa, which is already on its way! On his end, Odd finds the Tower in the Ice Sector, guarded by Tarantulas. He’s also devirtualised. This so-called setback then turns into good luck, because he arrives in time to send the Transporter to Aelita and save her and her memory. Elsewhere in the factory, Ulrich and Jeremy’s hiding spot is discovered by XANA’s spectre and it moves to do its dirty work. The boys’ situation seems desperate. But, against all odds, the wall of Tarantulas doesn’t stop Aelita in her race for the Tower. She deactivates it, making all traces of the spectre disappear on Earth. Ulrich returns to the séance and Odd, hiding, scares Sissi and her gang away… Kadic’s ghost is then no more than a legend… But then who violently closed the boiler door with a creak just as the kids left? - Attack: Bug up the Superscan, then send a spectre to chase and eliminate the heroes. - Return to the past to erase Sissi, Herb, Nicolas and Jim’s memories, as well as repair the Superscan. - First time Odd is hit in the tail. - First time Yumi uses her telekinesis to move a flying platform. - Fourth use of Odd’s joke “Say something!” “Something…” by Ulrich this time. - The girls are on the second floor and the boys on the first in Kadic’s dorms. - At the moment when Ulrich gets out of bed, his clothes change. 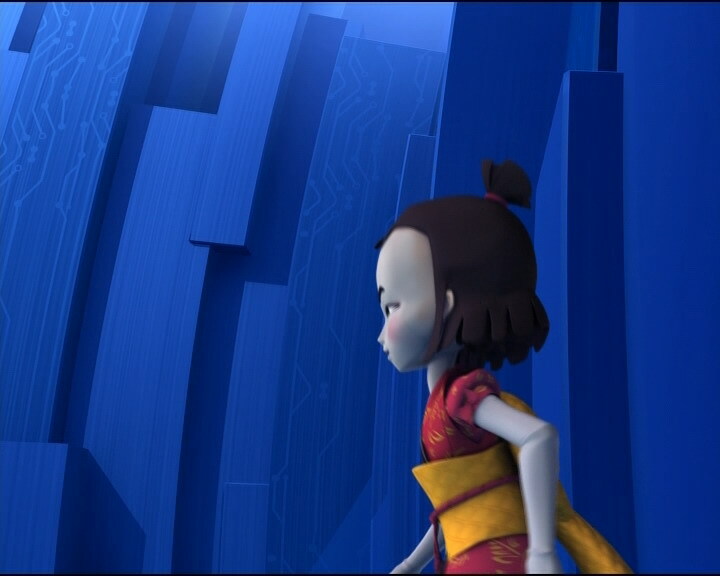 - The handle of Aelita’s door is on the right instead of the left in one shot. 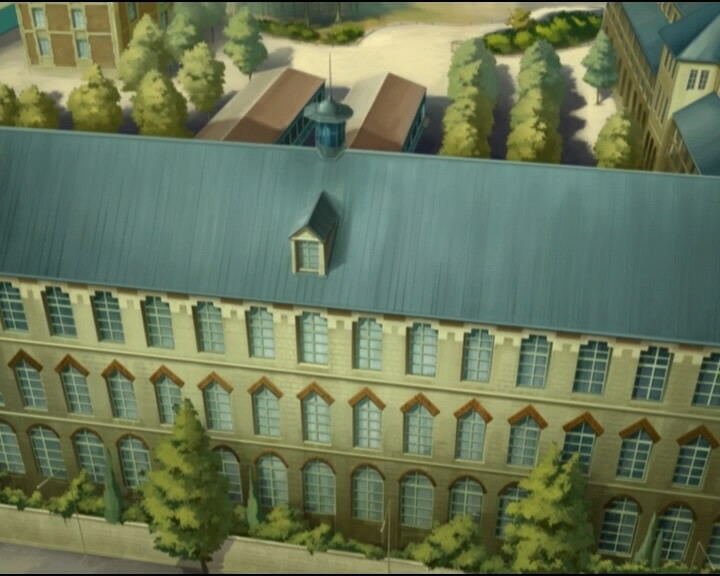 - The factory microphone wire disappears when Odd tells Aelita he found the activated tower. - When Odd takes the headset to talk to Aelita, it’s not his arm we see but Jeremy’s. - The marks under Sissi’s left eye disappear at the moment when XANA’s spectre disappears. 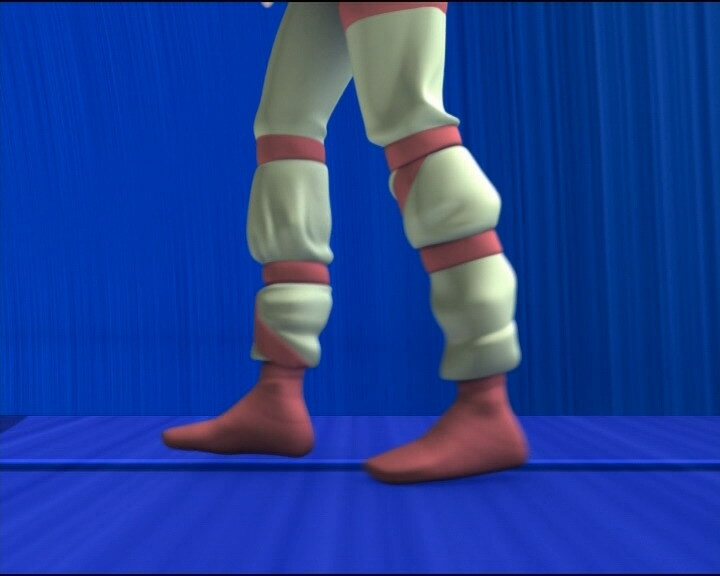 - The letter A on Aelita’s pyjamas disappears when she arrives at the factory with Jeremy, Ulrich and Odd. - Herb’s hair is entirely black when he chants with Nicolas and after the RTTP. - During the RTTP Kadic’s lights are on when that shouldn’t be the case in the middle of the night. 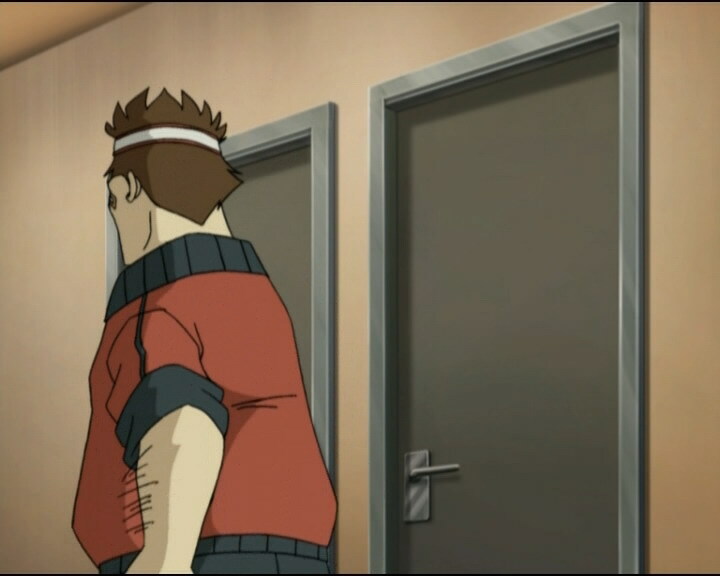 - The doors to the rooms in the dorms often change colour (brown, blue), Jeremy’s is blue when Ulrich enters and it becomes brown at the moment when Jeremy says there’s no activated tower. 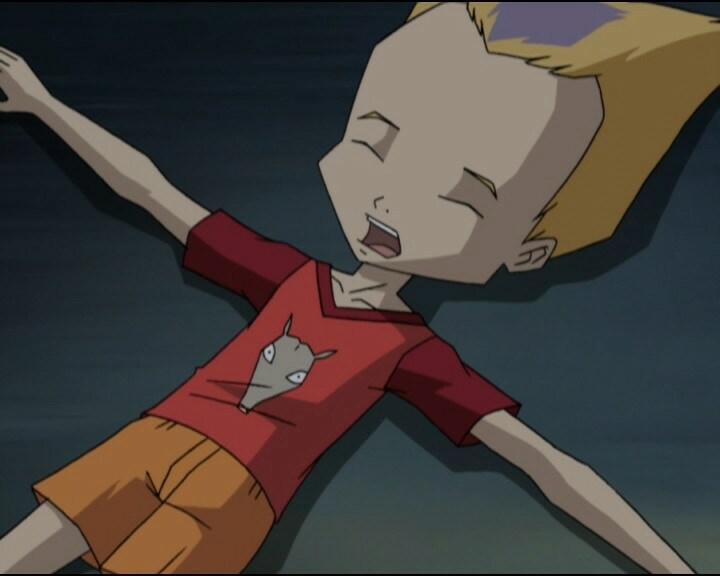 - Jeremy wears his regular clothes when he gives instructions to his friends before going to Lyoko when he should be in his pyjamas, when he says “Virtualisation,” before launching the RTTP and during it. - When Odd puts out the fire on his tail tip, we see that it’s scorched dark brown. In the following scene it’s back to its normal white colour. - When Aelita tells Odd where to type the code Scipio, she tells him to type it in the third window on the second screen. However, the window is actually the second window on the third screen. - Kadic Academy was constructed in 1905. - First time the Overboard enters a Way Tower on screen. - First time a Tarantula destroys one of its own kind by accident. - First time the heroes fail to activate the key (note that in “Unchartered Territory” they don’t even attempt to reach it). Yumi is the first devirtualised by the passage closing. - First episode in which we see the Transporter outside of the Arena to take a hero out of the Sector. 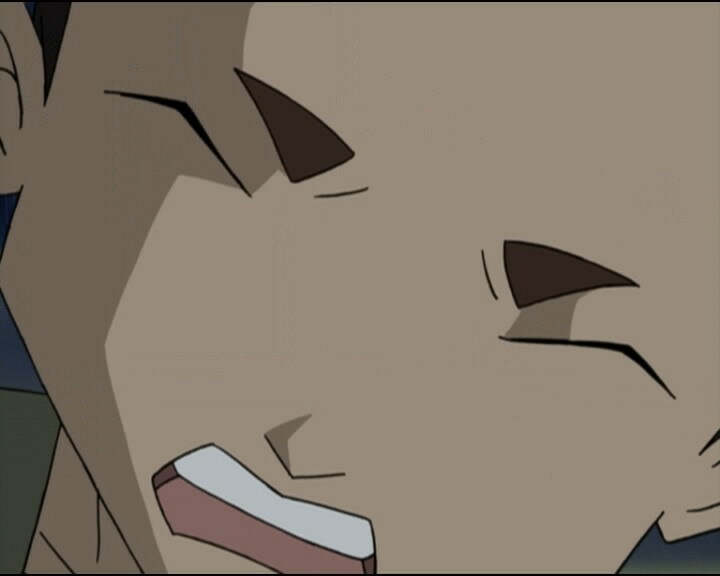 - Fire and smoke are seen on Lyoko for the first time, on Odd’s tail to be exact, proving that fire exists to some extent in the virtual world. - The pentagram is a symbol with a star pointing towards the top of a circle, representing the five extremities of the human body. If the star is oriented towards the bottom, it becomes the symbol of the Antichrist! Reference to Yin and Yang which, in Chinese philosophy, represent the opposing forces of the world. Sissi (reading the Kadic News): A horrible tragedy may explain the rumour that there’s a ghost somewhere at the Kadic Academy. Back in 1905, while the building was under construction, one of the workers, Leon Courbet, is said to have been buried alive under the foundations! In the boiler room area, to be precise! Ms Meyer: Elisabeth…a quadrilateral is not a quadrant you to later. Ten. Jeremy, I deducted two points for the ketchup stain on your diagram. 98! Ulrich (reading Sissi’s note): “Meet me in the boiler room at midnight – Sissi”? Jim: May I remind you that in the evening, girls and boys are prohibited from straying from their respective floors. Ok, for any of you who might be thinking of trying to pull anything, remember that the floors are different from each other in that they are either upstairs from or downstairs from the one…above! Girls are upstairs, and boys downstairs! Comings and goings from upstairs to downstairs and from downstairs to upstairs are strictly forbidden. And if I ever catch anyone from downstairs upstairs or anyone going from upstairs to downstairs, he or she’s really going to regret it stairs! You’ve been warned! Ulrich (seeing the decor in the boiler room): Isn’t this a bit square for you? Sissi: It’s not a square, it’s a tepogram! Sissi: Oh whatever! Thanks to this and my psychic powers, I’m going to conjure up the spirit of that poor Leon Courbet! I’m sure if we communicate with him he can finally rest in peace! Ulrich: I can’t wait to see this! Sissi: Ok, now stand inside the pentagon with me. We will bring together our Ping and Pong energy, and summon up the dead man’s ghost! Ulrich: You know what? I think you forgot the paddles! Herb and Nicolas: De profundis tenebrae! De profundis tenebrae! De profundis tenebrae! De profundis tenebrae! De profundis tenebrae! Sissi: I summon you, Leon Courbet! Sissi (in front of a spectre): Don’t step out of the pentathlon, Ulrich! It protects us! Uh…Leon…Courbet? Darn it, he’s gone, he doesn’t want to speak to me! Nicolas: I swear, it’s true! Jim: Come on, you two, calm down! Herb: The ghost of Leon Courbet came after us in the boiler room, Jim! Jim: If anyone’s after you two, it’s a gym teacher in a tracksuit holding a red pen, which he’s going to use to give you four hours of detention! Ulrich: Sissi, you’d better go back to your room. Sissi: No! Don’t leave me all by myself, please! Ulrich: Shh! Alright, come in then! Odd: Am I dreaming or what? Sissi: I’m scared, Odd! Mind if I sit near you? Odd: Oh, it’s just a nightmare and soon I’m gonna wake up! Jeremy: You saw right, the monster depixellised when I hit it! Odd: It’s gotta be one of XANA’s! Yumi: What took you so long? Jeremy: XANA’s attacking us, but the Superscan didn’t detect anything! Ulrich: Do you believe in ghosts? Jeremy: Hey, that’s weird! XANA’s managed to corrupt the Superscan! There’s an activated tower, but it can’t detect it! Yumi: Whoa, nice to see you without your pyjamas on! Odd: Hm, nice of you to notice! Odd: Ok, forget it! (to the girls) Later! Jeremy: We can’t shake him! There’s no point running, he’ll catch us every time! Ulrich: You got a better idea? Yumi: Too good to be true! Yumi (seeing the Creepers): This is getting creepy! Odd: Darn it, still no activated tower! 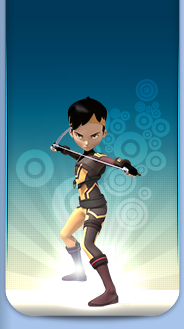 Yumi: Oh, I must be jinxed! 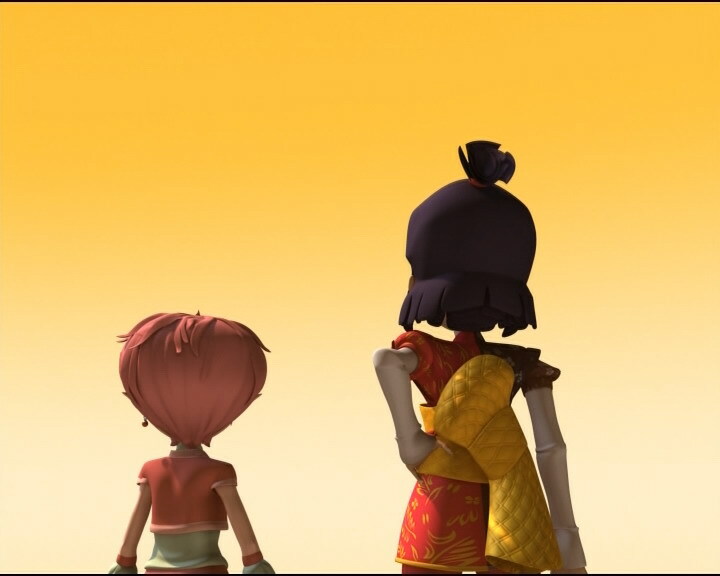 Aelita: Wait, I have an idea! Yumi: Alright, I get it! Odd (seeing the Tarantula): Where there’s smoke…! Odd: Jeremy? What’s going on? Odd: Oh man, how does this thing work? News reporter: Well, Fritz Huckleberg has done it again! His third straight title what a champ! He’s amazing! Odd: Wow, he even has TV on his computer! Odd: Huh? No, it’s not Jeremy, it’s Odd! Aelita: Odd, type in the code Scipio, quick! Odd: Well, not feeling so cocky now, are we? Odd: You ok, guys? Say something! Odd: Hey, no stealing my jokes, ok? Jeremy: Since we didn’t fix the Superscan in Sector 5, we have no choice: we’ve gotta launch a return in time! Return to the past now! Odd (scary voice): Whoooo daaaares call my naaaame? Odd (same voice): Beat it, miss Delmaaas! Youuu don’t know who you’re dealing wiiith! Scraaaaam! Ulrich: You can come out now! Odd: Well, I don’t think she’s going to try and wake the dead again!